Put your baby down and worship! 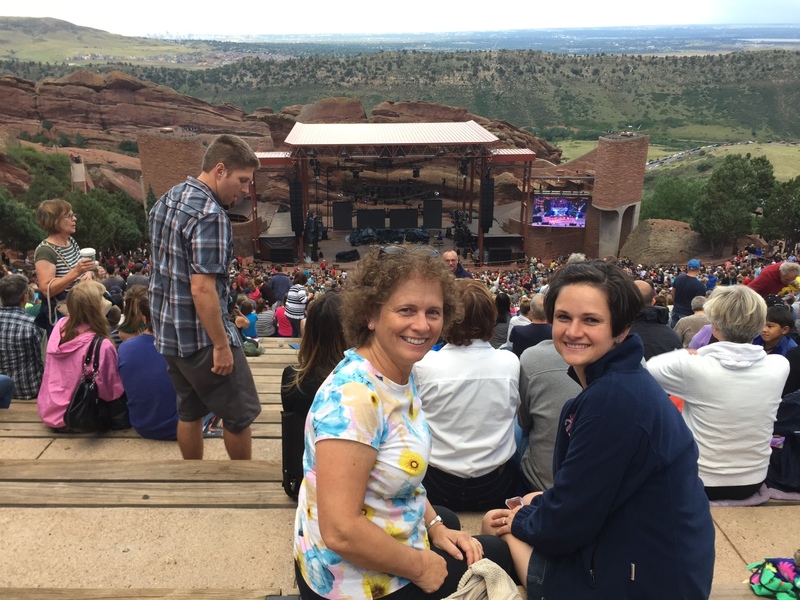 A few days ago I went to a concert at Red Rocks with my mom. It was headlined by Chris Tomlin, Matt Redman, and Matt Maher and my mom was going to be in town and I could tell she really wanted to go. So I told her I would go with her. But as it drew closer, I wasn’t getting any more excited. Although I often put Christian music on in the car, I felt out of the music loop that I used to be in with my mom. Back in high school and college, my mom and I were Christian concert-goers extraordinaire. You see, I grew up in Charismatic prayer groups. I learned how to worship through praise music. I taught people to open up their hands as a sign of openness and to reach out to God. But I’ve been holding a baby in my arms for the last 4 years, or doing dishes, or folding laundry, and I feel like that’s all my hands know how to do anymore. So I kept my hands in my pockets as the music started and people began to worship and sing. As I kept my hands in my pockets, the wind picked up and I started to chill. And I realized that wind is also a symbol of the Holy Spirit. And I really felt that the wind was the work of the Holy Spirit moving in the thousands gathered, especially me. At one point they asked us to kneel. Catholics know how to do that well, we understand that kneeling and genuflecting and bowing our heads are outward symbols of respect and submission to God. But opening our hands is a little more uncomfortable. I realized that sometimes I need to put the baby down and worship. My arms have been so full of day-to-day life that I miss out on stepping back and seeing the bigger picture. Because I have forgotten to set aside time to worship. Not just say a quick prayer here or there, but really enter into worship. Because when we worship, we put God first. We praise him for who he is. There are lots of ways to worship. I do enjoy great modern praise and worship songs. You can simply speak all the names of Jesus. You can pray many of the Psalms that are praise. And of course the Liturgy is an act of public worship. But when we put God in his rightful place, all else comes into order. Perspective on his greatness and our need for him permeate into the other areas of our life where we make choices. So it’s time to put the baby down and get my hands out of my pockets and open them towards God. Maybe your children are all grown or you don’t have children yet, so what is your figurative baby that’s holding you back from opening up to God? Let’s allow the Holy Spirit to help us worship God and put our life back in right order. CCC 2086: When we say ‘God’ we confess a constant, unchangeable being, always the same, faithful and just, without any evil. He is almighty, merciful, and infinitely beneficent. Who could not place all hope in him? Who could not love him when contemplating the treasures of goodness and love he has poured out on us? Lately Timothy has been really into coloring. It’s usually spaceships and helicopters, although the other day he told me he wrote the word “unicorn” in his scribbles. Of course, everything on the paper is indecipherable to me until he tells me what it is. 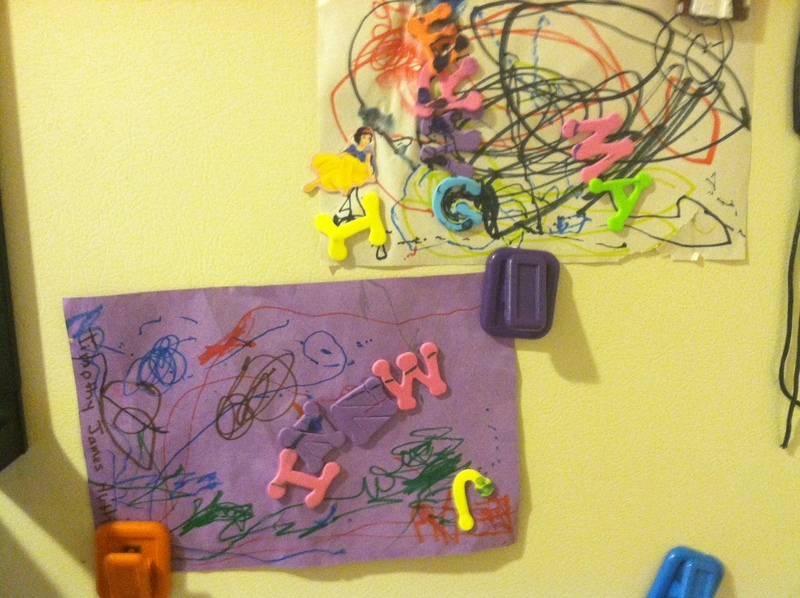 But I still think it is beautiful art and proudly hang it on the fridge, since it’s the best he can do and he’s doing it out of love. 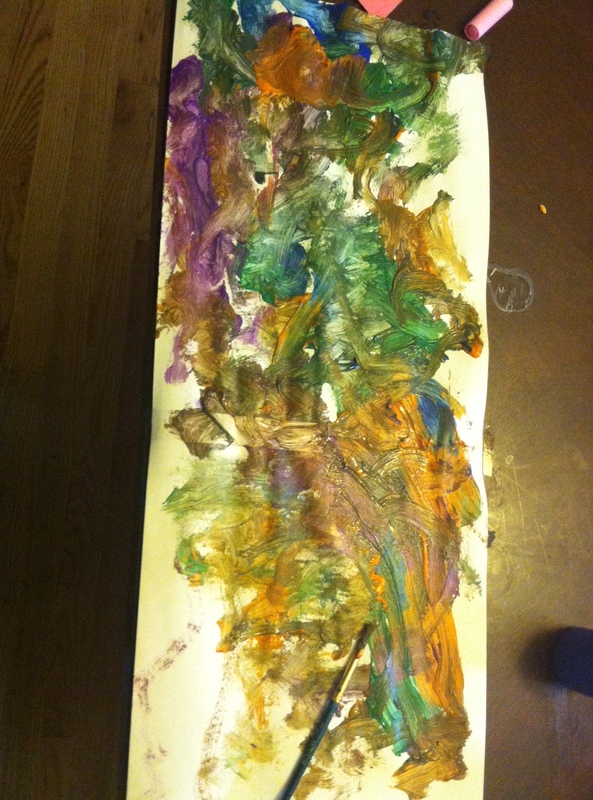 As his mom, I think he’s a great artist! And I’ve been thinking lately about a talk on praise and worship I heard when I was in youth ministry (and before I had kids), where the speaker compared us giving our worship to God to a child giving his scribbled art to his proud mom or dad. It doesn’t matter how flowy and wordy our prayers are or how beautiful we sing at Mass, it just matters that we are sincerely doing our best and are doing it out of love for God. It’s our offering that counts, and God our Father thinks it’s wonderful! When we are able to pray and to worship as children of God, we are put back into the right relationship with Him, to see ourselves dependent upon him for our needs and desires. And God who is our Father wants to give us, his children, good things!! (Mt 7:11) Being a parent has given me a priceless gift to understand God as my Father. I want to have a childlike faith where my praise and worship of my Creator is like Timothy’s drawings – pure, simple, and the best I can do.